JD: Tell us a little about your background. What drew you to music as a career, and who were your most influential teachers? MB: I grew up in a small town sixty miles north of New York City, the daughter of a librarian and a nurse. In the 4th grade I began flute in the school band system; I immediately took to the instrument! I studied privately with Carolyn Topliff and joined the regional youth orchestra, and for the last two years of high school I spent Saturdays enrolled in the Manhattan School of Music Preparatory Division, where I studied with Harold Jones. My decision to be a musician came was when I attended the Boston University Tanglewood Institute summer masterclass program with Doriot Anthony Dwyer and Leone Buyse. That experience informed my work ethic; I realized what a great commitment is needed to become a professional musician. Oberlin was the ideal undergraduate institution for me; studying with Michel Debost and Kathy Chastain was wonderful. At Oberlin, while working on contemporary music with conductor Timothy Weiss, I formed the chamber group Eighth Blackbird with a fabulous group of musicians, and that propelled my career for many years; my Grammy Award was won with that ensemble. Eighth Blackbird “flew” over to Cincinnati in 1997 to obtain an Artist Diploma in Chamber Music; I studied there with Brad Garner and Randy Bowman. And finally I rested my student days after earning a Master’s Degree at Northwestern University, where I studied under Walfrid Kujala. Mary Stolper offered me tremendous guidance in my post-school Chicago years. JD: What inspired your affinity for contemporary music and for chamber music, in particular? MB: Contemporary chamber music in particular encourages me to perform with a wide range of colors/timbres. And I love working with living composers; there is relatively little tradition built into the repertoire, allowing for more overt freedom of expression. As for my affinity with chamber music, interacting with people in a musical setting is the ultimate experience! Making decisions together in a chamber music setting rather than reacting to decisions made by a conductor is particularly invigorating for me. JD: How do you balance your teaching and performing careers? MB: I am thrilled to be on the faculty at the Blair School of Music! The students at this prestigious institution are an absolute inspiration to me. They are all academically driven, and they also have a tremendous spirit of curiosity, commitment and dedication to achievement of their myriad goals. I received my undergraduate degree from the Oberlin College-Conservatory of Music, which is also solely an undergraduate program, so I am well acquainted with the advantages of such an institution. I have closely followed the teaching model of my undergraduate teacher and mentor, Michel Debost, for the duration of my professional career. Therefore, teaching undergraduate students at Blair comes very naturally to me. 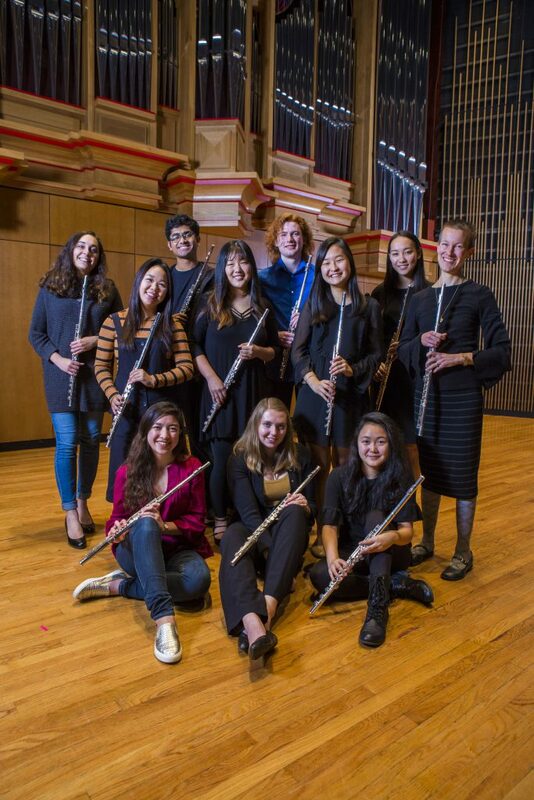 I am focused on bolstering the fundamental techniques of my Blair students, and I introduce my flutists to as many pieces in the standard solo and orchestral repertoire as I can in the four years we have together. We work on extended flute techniques and business matters/career development often as well. My fundamental teaching methodology has been consistent for decades; the fact that I teach only undergraduate students at the Blair School of Music merely focuses my methodology in a targeted fashion that I feel is advantageous to everyone involved. JD: What tips would you suggest for young players learning to use extended techniques for the first time, or approaching a composition that requires those techniques for the first time? 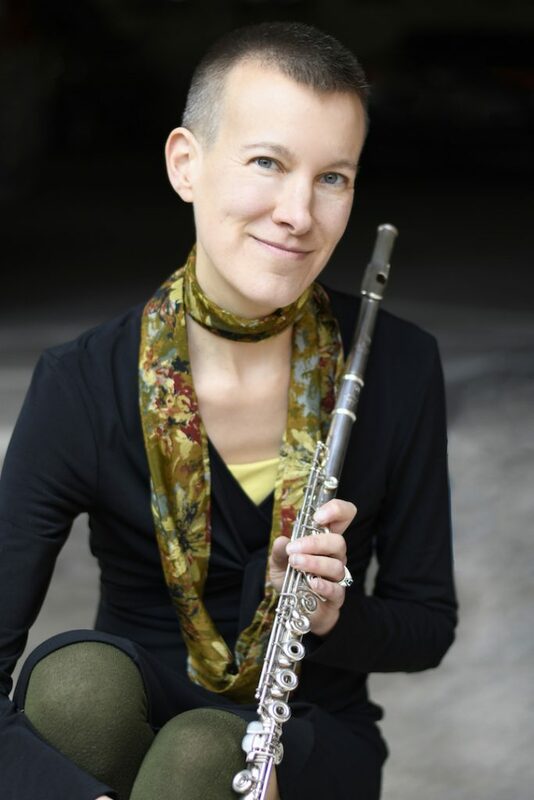 Of course, plenty of music has been written for solo flute in the 21st Century, and I have commissioned some of it! I do try to start my undergraduate students’ base of knowledge with the pieces listed above, as I feel they have many valuable compositional traits. I recommend that people learning these works (as well as ANY music, for that matter) take them section-by-section. Digesting the details slowly and methodically is important for the proper internalization of the music. JD: What sorts of things would you like to see young flutists do to become more flexible in a difficult job market? MB: Below is a handout from a workshop that I often present; it addresses the many considerations musicians are faced with and how to prosper! Happy reading! 1. Do you want to make lots of money and work very little? 2. Is music your passion? 3. Is PERFORMANCE in particular your passion? 4. Is music one of many things you enjoy? 5. What are the locations in the world where you want to live? 6. Do you like to work with many different types of people? 7. Do you like to travel? Can you cope easily with being away from family? 8. Do you prefer a regular or variable schedule? 9. Do you adapt well to change? 1. Practice diligently and make music with every single note that you play (even those scales and long tones!). If you do so, people will take note. 2. Start to think about what sort of music (genres, settings) you prefer, and build contacts in those areas, while also keeping all doors open elsewhere. 3. Find people to play with that excite and motivate you. Find people to collaborate with in other fields (artists, poets, actors, dancers, etc.). Consider commissioning composers to write pieces for you. 8. grants: only apply for grants for which you are qualified. 9. the best musical instrument(s) your money can buy. 6. People who give as well as take. If you ask for something, try to provide something for the person as well, when the occasion presents itself. 3. People who do not work to get their name out; a healthy, well-tempered ego will aid you, if used wisely. 1. Consider every musical and personal interaction an opportunity for the future. If you are always striving to play well and behaving with respect towards others, you will be more likely to get a chance to play more, and therefore to earn more money and enjoy more fun experiences with music at the center of your life. 2. You are always in the spotlight, even when playing 4th flute in a 100-member orchestra. Your contribution matters, sometimes more than you think it does. 3. Practice good business skills. Respond to phone calls and emails within a day when possible; always act in a professional manner. 4. In a frustrating situation, you will more likely have a positive outcome to a negative experience if you smile and express your needs and opinions in an objective and straightforward manner. If you are upset, confront the situation when you are calm and well-rested. 5. Be active in your pursuit of artistic and financial goals. Do not be shy! 6. Learn to manage your time wisely.Know your limits and your pace. Include in your daily plan: practice time, business time, something fun, exercise, hobby. Schedule the first hour of practicing as early in the day as possible. 7. Eat healthy meals: they bolster efficiency, creativity, and productivity. 8. Make Lists. Include short-term goals, mid-range plans, and life aspirations. Work backwards from big goals to schedule what is necessary to meet them. 9. Be realistic about the demands you place upon yourself. Make Music and Achieve Success with your mind, heart and soul!